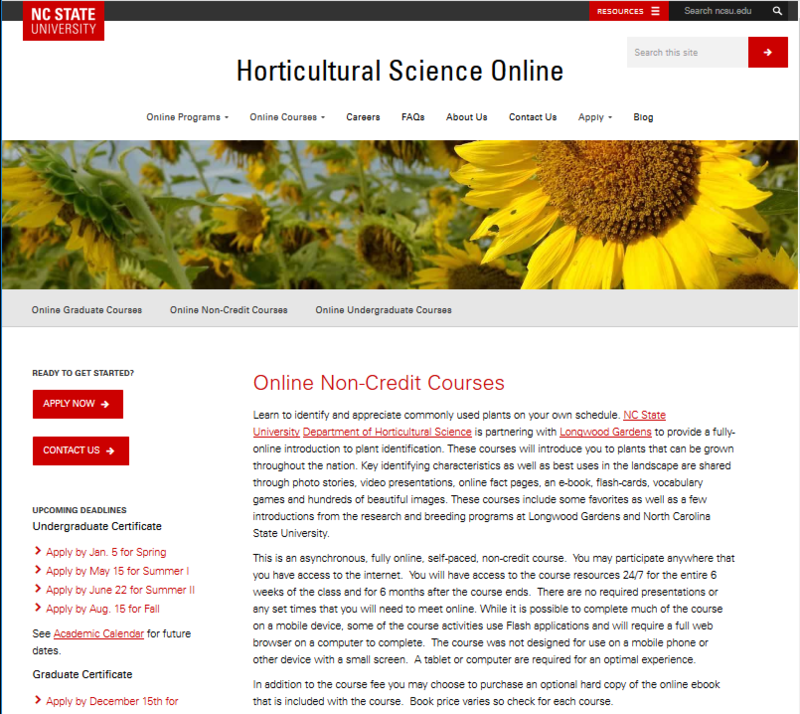 We are expanding the NC State University Urban Horticulture distance education program. These are 6-week, non-credit, online courses offered to the public. The classes are managed on Moodle. Since the plant database is used in the courses, this position will also spend part of their time expanding and enhancing the plant database by adding images and data. It will start as part-time and no benefits, with plans to expand to full time with benefits as the program grows. More information on how to apply for the job. “Self Funded” means the salary and benefits have to come from course registration fees. “Administrative Tasks” means there is no secretary or admin assistant to support the position.